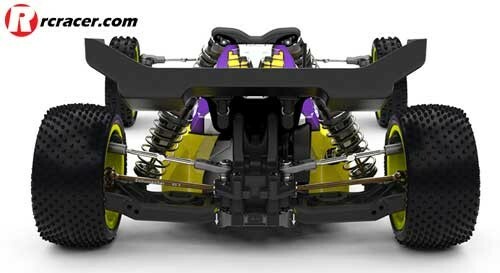 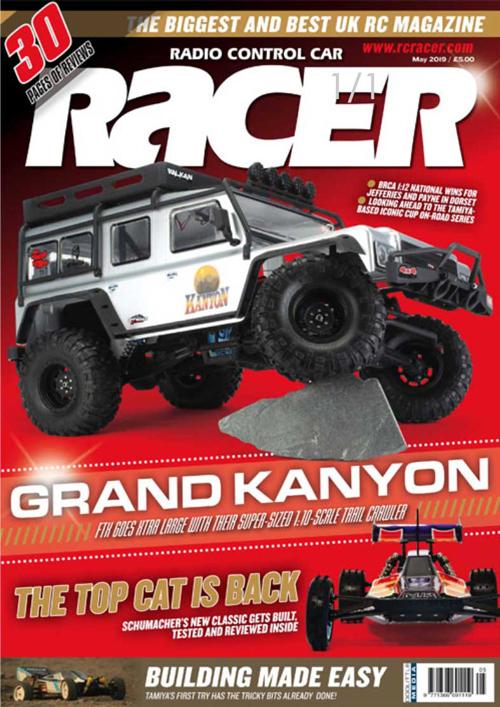 In a surprise move away from a belt-drive transmission, Schumacher has announced details of their new competition 1:10 2WD off-road buggy, the Cougar Laydown. 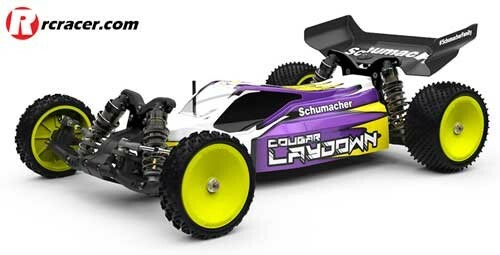 Schumacher claims that the Cougar Laydown, “is lower, lighter, easier to maintain, and faster!” The new model is versatile and designed to work on a wide range of grip levels, carpet, Astro and dirt. 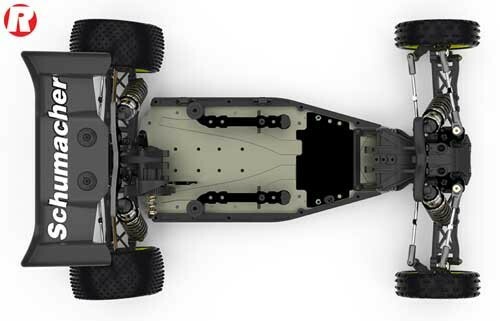 At the heart of the Laydown is a new three-gear, low centre of gravity sealed gearbox. 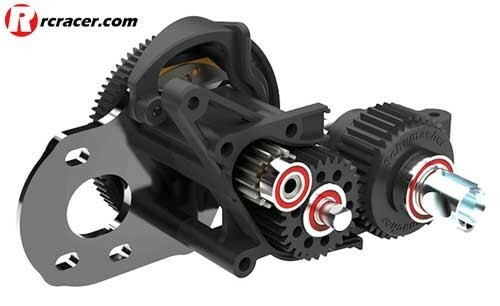 The compact, low rotating mass transmission features a gear differential whose height can be located in one of three positions to adjust for driveshaft plunge and mixed track conditions. 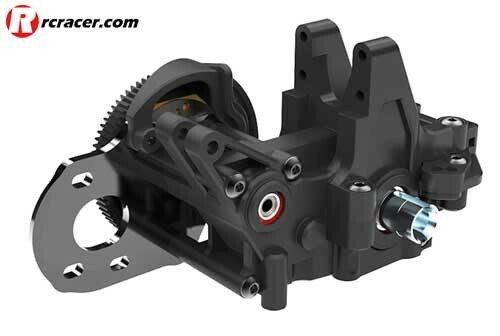 The moulding allows for easy access to the transmission system, for quick diff access and maintenance, or for swapping the gear diff out to the optional ball version for example. 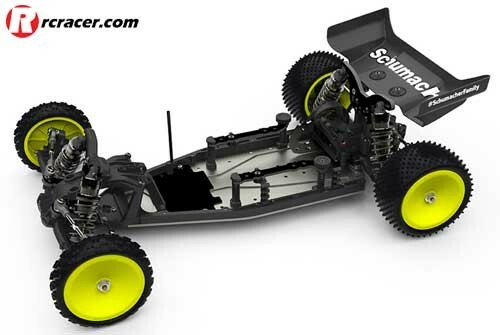 The chassis, which is made from 2.5mm aluminium has sensor lead wiring channels for a clean look.